Epic! 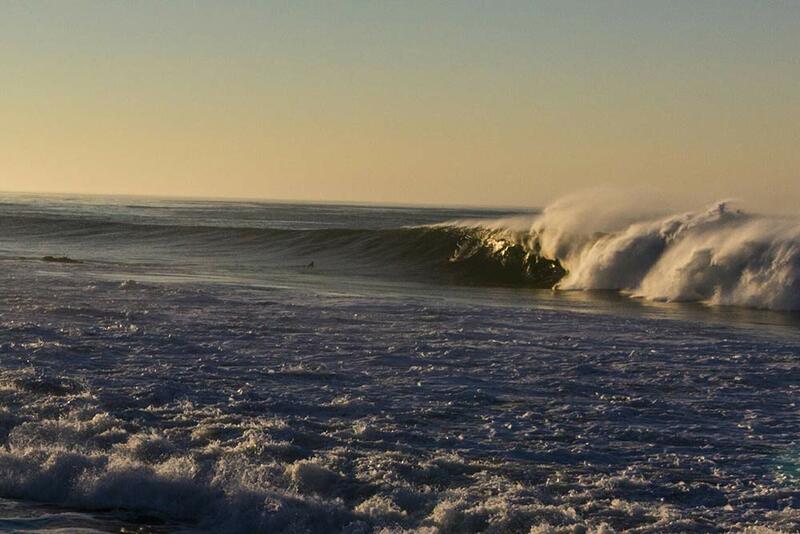 Biggest South Swell in California in Ten Years! Swell of the Decade! High Surf Advisory! Malibu Surfer Killed in Extraordinary Swell Event…and the headlines go on and on. By this point I don’t believe there is a surfer with an internet connection who has not read or seen footage of the great Hurricane Marie swell that graced the California coast with near epic conditions. Every single facet of the surf media and beyond blew the swell up days before her arrival, then immortalized it and will continue to for weeks after…maybe years. How good was it? As your west coast correspondent here at Surf & Abide, I must admit the prophecy was all that they foretold and more. Before I get into the actual swell I feel it important to explain to those who may have never experienced a tropical season here in California what such a season is really all about. Since I grew up on the east coast of the US and have experienced many tropical seasons there as well, I find myself to have become versed in the matter (based entirely on personal observation of course). On the east coast, tropical activity from June to October is a surfer’s bread and butter. In most cases it is where the majority of his/her major swell action is going to come from. Here on the west coast, especially in California, tropical activity is only a minor swell generator at best. Besides Baja and maybe San Diego and Orange County, the rest of the state is hard pressed to see even a ripple from the majority of tropical disturbances that spin off of Mexico. Even when we do see some swell, it is as fickle as it gets. The swell is super selective on where it actually shows. Sometimes it will only last for a few hours. I have had plenty of let down in expectance of a hurricane swell only to wake up and find it peaked and passed over night. The majority come in at such a steep south angle that one spends more time sitting in the line up watching waves pass by then surfing them, not to mention the insane currents. The only positive aspect to a tropical swell is that it is usually shorter period allowing for some consistency if waves actually show up. In the summer, short-period swell is a nice change from the normal long-period south swells where a surfer can be forced to wait up to twenty plus minutes for a set to come in. For me, most of the time when I hear the word ‘tropical’ in the forecast, I don’t get too excited or make plans for it. In the case of Hurricane Marie though, with its strong trajectory and immense size, a serious swell event was imminent. For the most part, this summer has been more active and fruitful, tropically speaking, than any I can remember in the ten years I have lived in southern California. So when Marie was predicted to hit, I, too, jumped on the bandwagon with everyone else. Marie stayed true to her tropical predecessors taking her sweet time to get here. Most places didn’t really see any swell until right before dark. 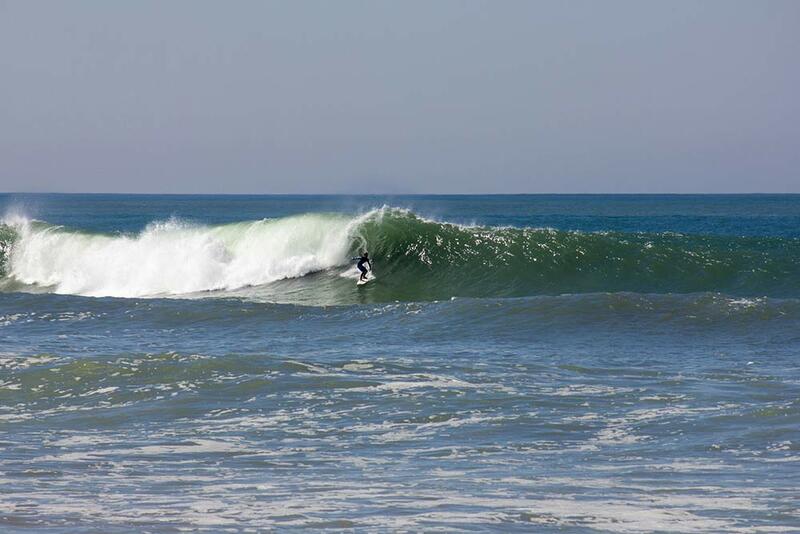 Then she bombarded California with more intense south swell then has been seen in over ten years. Finally by the next day she was gone and left us with little reminisce then a diminutive stature of what had come the previous day. What made Marie so special? For starters Newport Beach saw near 20 foot waves, not just at The Wedge, but up and down the beach. 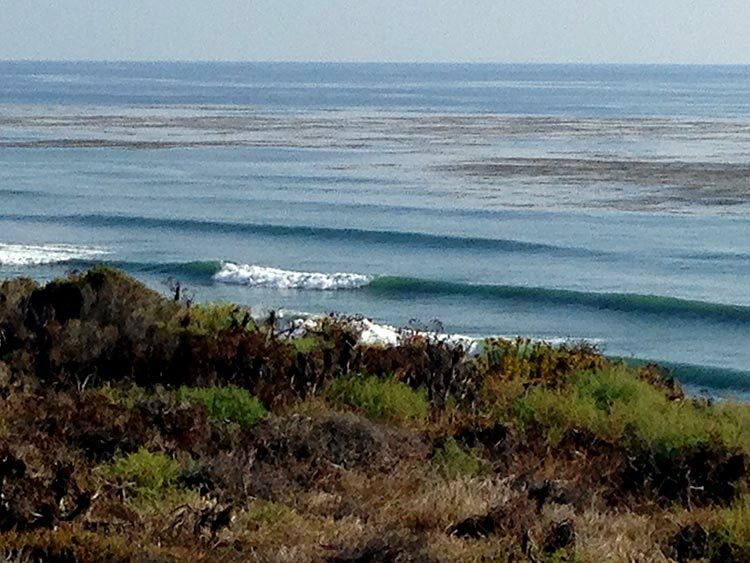 Surfrider Malibu looked like epic J-Bay. Besides the usual go-to south swell spots, other places broke that are normally hard pressed to be good even on the best of winter swells. Santa Barbara’s Sand Spit saw one of it’s best days in years and that spot literally needs the sun, the moon, and the stars to be epic…let alone a south east swell?! Super tubes in Malibu broke along with a ton of other mysto spots along the Pacific Coast Highway 1, many of these spots had been dormant for such an expanse of time I had become devoid of memory of them actually breaking. As someone who has driven by all these set ups thinking “I wonder what that would look like if it broke” it’s quite invigorating to finally find out. Did I have any life-changing experiences on this swell you ask? Unfortunately the drudgery of work and the responsibilities of the real world left me with a very limited time window to surf in the morning. I made a bad call, thus was stuck settling for what was offered to me. I surfed a spot that does not ever break in the summer and was bigger than it almost ever is in the winter, although still far from as good as some of the epic scenes that were happening elsewhere (Sand Spit literally being no farther than a few miles). At least I surfed, and that is half the battle. Next time I will have to start working on my call-out-of-work excuse before the swell hits the mass media. The El Nino east coast hurricane season of 1996. I was only 16 at the time living in Manasquan, New Jersey. That year we had something like 23 named storms with the first one hitting in early June and the last in late November. It was overhead and bombing almost weekly, which is insane for New Jersey. Hurricane Isabel. Cape May, New Jersey 2003. In the eye of the storm, my buddy and I braved gale force winds, flooding, downed trees, and power lines in pursuit of some surf. What we found was double overhead lefts breaking down the point at Broadway Beach. Josh Kerr and a few other pros showed up, and a group of us paddled. It looked like an indo left. I remember Kerr air dropped into the pit of a bomb and came out 100 yards down the beach. Later, it got so big the entire point closed out. My buddy and I went south and were catching lefts into the Delaware Water Gap. Some old fisherman told us he had never seen anyone surf the place. Shipwreck Bay. New Zealand, 2006. A large Antarctic swell came up the NZ coast at nine meters. I caught a wave over a mile down the point. I literally got barreled four times on it and my legs were burning so bad I could hardly finish the ride. Big Wednesday. Santa Barbara, February 2007. A freak WNW swell gained momentum, and in a matter of hours the swell went from 2 foot to 20 foot. I caught some of the biggest waves I have ever ridden in Santa Barbara and it was in front of my apartment on a wave that is hard pressed to be over head high. The El Nino Winter of 2009-2010, Santa Barbara, California. To this day, it is the best winter I have ever experienced surfing in my life. Rincon broke in the head-high range for five months and I surfed good Sand Spit at least ten times along with countless other super fickle spots. Like a kid the day after Christmas, I always seem to feel empty and withdrawn when the swell phenomenon concludes. Greg Knoll always talks about how he quit surfing after catching that epic wave at Makaha in 1969 because he didn’t know where to go from there. I think that is sort of how we as surfers feel when something so extraordinary happens to us in the sport. How can we ever look at that same spot again where such feats of heroics happened? Every winter, I find myself in constant comparison to the El Nino winter of 2009-2010 here in Santa Barbara, and am subsequently let down. Now I will have Marie to cope with. Luckily for me I sort of missed the greatness of the swell and only have all the photos and video to contend with. The great tales of which I listed above, Marie will not join. Still, I drove to Malibu to surf the other day and as I passed all those waves that never break, I just thought of some of the photos I had seen from Marie, and it makes me a little saddened knowing I may never see such a spectacle for another ten years. Then again it is the thirst of wanting that makes surfing such an addiction after all.